Greece and its European Union creditors have been trading criticisms just a day before crucial negotiations in Luxembourg, the failure of which could result in the country’s exit from the eurozone. Greek Prime Minister Alexis Tsipras has described demands by the country’s rescue lenders to slash pensions “incomprehensible”, while EU officials say their compromise proposals already lean towards Greece’s side. EU Commission Vice President Valdis Dombrovskis said on Wednesday, a day before Thursday’s crucial talks in Luxembourg, that Greece should offer a more realistic plan instead of complaining about the proposals made by the creditors. “It is important that the Greek side actually not only communicates what they do not want to do, but also what they do want to do,” he said. 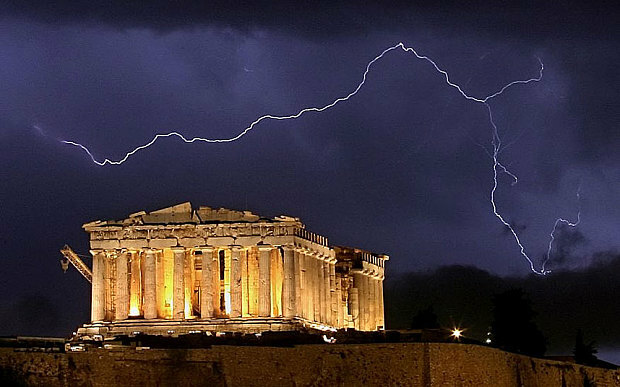 If no deal is reached, Greece would face “dramatic” economic consequences, the country’s own central bank has warned.